A few months ago I showcased some of my favorite handmade family travel wallets from Etsy. 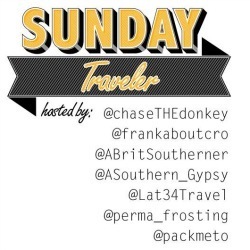 I really loved highlighting these talented artists and plan to do it more often when I find a product that works for family travelers. Today, I want to introduce you to some of the best customizable luggage tags. My son loves helping us look for our luggage when we’re standing at the carousel. Unfortunately, our suitcase preferences look like 85% of the suitcases out there – black. The defeated look on his face when yet another black bag passed us that was not ours made me thinking of what I could do. Buying new luggage isn’t an option, and besides, And our poor, helpful son gets his spirits crushed when he points out yet another piece of luggage that isn’t ours. Then we bought some luggage tags. From a mom perspective, the luggage tag is like a great scarf or pair of shoes. A little luxury item to dress up the outfit. It can show my personality without overwhelming me (because, in reality, I prefer plain with a touch of wild). Best of all, it’s the one feature that is easily recognizable to our son, making luggage claim just slightly more enjoyable than it used to be. We will take what we can get. There’s also the practical aspect – if you’re bags get lost the tags help them get returned to you. Please note: I am not affiliated with any of these companies. These are just wallets I saw, I liked, and now I want to share with my readers. I get no compensation for any purchases. JK sells custom leather accessories made in her shop in California. Her leather luggage tags come in a yellow, dark brown, cherry red, and black. She uses one of my favorite fonts, Century Gothic. The best news is that they are completely customized. Either pick a tag for your address, or a tag for your name, or both! Go to her shop to look at more options, then contact JK to start customizing your new luggage tag. Jamie is a Houston-based artist making an assortment of travel-related accessories and has sold over 500 luggage tags in her store. Her fabric tags are double layered, reinforced with industrial strength backing, top-stitched, double-stitched, and uses grosgrain ribbon to attach to the suitcase… in a word – it’s strong! Her options include ready to go tags in a variety of colorful patterns, or made-to-order tags that can be customized with names, addresses, or quotes. Prices start at $7.99 and $8.99. Visit Jamie’s shop to find your perfect luggage tag (and while you’re at it, get a matching passport cover. Susan specializes in leather goods in her Alicante, Spain-based shop. Her luggage tags come in over 20 colors and can be customized in wording completely. She hand engraves the words and information on your tags, and can add information on both the front and the back. This gives you the opportunity to have your name, address, and a favorite travel quote on your favorite color – in leather. Prices start at $14.99 for one luggage tag. Visit Susan’s shop to get started on your own tag today. Here we are, 10 days in 2014, and I finally decided to share my word for this year. This word came to me one night in December as I thought of what I wanted my word to be. In the past I’ve forced a word just to have one, and my success rate with sticking to that word wasn’t really that good. But this one just appeared and I couldn’t stop thinking about it. My kids are growing fast. It’s absolutely crazy. My oldest is three, my youngest is a just over one. The first year of each of their lives was utter chaos to me. Adjusting to a new normal, then readjusting, while living abroad, and trying to figure out exactly how “I” actually fit into this all was, and continues to be, a challenge. Coming out of this haze in late 2013 means really focusing on thriving in 2014. So in the spirit of some blogging friends who have made their intentions public, here are some areas I’m going to focus on more and how I’m going to do it. … focus on Germany: Even before starting this blog I’ve loved traveling to new places, new countries, and other countries. But, this year I want to embrace Germany. There’s a reason we live here. I studied both the language and history in college and I feel like it’s always been an important part of my life. We will still travel outside of this country (it’s just too easy) in 2014, but I want to see a lot more within the ‘schland. …focus on microadventures: I had the idea before I knew what it was called, so I’m glad I read about it today. For our family this is all about exploration. I want to get more in tune with nature, something we tend to do when on vacation, but don’t do enough when we’re closer to home. … focus on nature: Whether in or out of Germany, close to home or far away, I want to spend less of our vacation time in big cities and crowded destinations. Yes, we’ll probably take in some big cities because I love them and they exhilarate me, but I’m going to actively seek a slower pace. … focus on UNESCO: This is something I just thought of before our recent trip to Amsterdam. Before any trip, I want to research the UNESCO World Heritage sites in the area. I’ll learn more about the area and, possibly, add some sites to our list. I’ve always been interested in these things, but I rarely seek it out. While I don’t plan to go out of my way just to check a place off our list, I am more than willing to make a detour for a place that simply interests me. … focus on transportation: Two things I’m really looking forward to this year involves the journey. I’ve always believed in “the journey is the destination,” but with two little kids the journey is not always fun. This year, though, we have a longer road trip in the works and a long distance train ride. Wish us luck! … focus on family: All of these ideas, actually, stem from family and connecting. One of the biggest reasons I absolutely love traveling with my family is that I feel like we learn so much about each other. It’s addicting. Kids grow fast – too fast. By shifting our focus in the types of travel we will have this year, I think I can really focus on the family experience. This is what it is all about. … focus on ENCOURAGEMENT: I’m very excited to get to the meat of why I started this blog. Families I know who don’t travel are often discouraged by the logistics of it all. It can be overwhelming to think about. As a former travel agent, I get it. I feel like helping with logistics clears one the biggest hurdles for those families, so you will start to see more practical information and tips around these parts. Also, I really love logistics. … focus on EXPLORATION: This is something leftover from my travel agent days, too and something I feel can be an obstacle for families. Exploration, when I think about it in terms of microadventures, can happen anywhere. I think microadventures can easily be adjusted to fit anyone’s locale. Along with the anywhere microadventures, I plan to offer specific destination tips for things to consider from the family travel perspective. … focus on ENGAGEMENT: There’s a lot going on with this word. My favorite travel stories have always been when the traveler connected with other people on their journeys. There are so many interesting people out there, and there is something magical about meeting someone while on a trip who offers insight when needed. I am very shy, so this is hard for me to do, but I try. Additionally, as a mom, I cherish the moments when my kids are engaged in the places we travel to. Whether it’s the people, the sites, the paintings, the scenery, the food, whatever. That’s what makes travel so important. Breaking out of shells and engaging with the place. … focus on MEMORIES: While not one of my three E’s, memory keeping is one of the main reasons I started this blog. One thing I tend to be really good at, have professional and personal experience in, and can talk about all day long is the logistics, methods, and experiences in travel. And I can not wait to start doing more of that on this website. We’re going to go on several trips this year, and it is so important for me to collect these memories and stories for my kids. For myself. However, memory keeping is hard for me. I’m not a great photographer or storyteller. I don’t have a lot of time. But, I want to do it. I need to do it. I want to inspire other families who travel to do something with their photos and stories, outside of a blog or email or online journal. Make something tangible for their family to hold. I’m going to get pretty crafty in 2014, and I hope you’ll join me. Along with all those things specified above, I’m bringing more focus into other areas of my life. Here’s to 2014! Have a great weekend. Maybe not the most child-friendly sounding event, but I still think it’s worth a visit. Two years ago, our family was lucky to spend New Year’s in Edinburgh and it is something I want to repeat again soon. While we couldn’t (or didn’t want to, at least) attend the crowded concerts and many events, we still did a lot. We took in the city’s sites, visited their Christmas Markets, took a day trip to St. Andrews, and participated in one of the coolest events I’ve ever experienced. To kick off the three days of “spectacular events”, the city hosts a torchlight procession. It starts in Old Town, winds down the streets and park until turning on to Princes Street, then marches past the shops, restaurants, hotels, and bystanders until it ends at the top of Calton Hill. There is absolutely nothing as exhilarating as being part of this procession. Last year there were 35,000 participants. That’s a lot of people. Watching the lit torches ahead of and behind us, in one of the most beautiful cities in the world, sent shivers down my spine. My son had just recently turned one when we went. I worried that the crowds would be too much, but decided we could just step away at any moment if they were. It turned out they were never a concern. There wasn’t a mad rush to make it to the end. It was a peaceful walk. Once we started the climb to Calton Hill there were electronic signs letting us know event details. We made it to the top, extinguished our fires, grabbed a quick sandwich from the food truck (one of my best meals in Edinburgh), then listened to the live music, bagpipes, and watched the fireworks show over the city. For most people reading this, it’s probably too late to book tickets for Edinburgh for Hogmanay this year. If you can make it there, the procession is a free event. The torches are available at a low-cost, but advance sales are sold out. There’s limited supply available the day of, so check there on December 30. HAPPY NEW YEAR EVERYONE. I’LL SEE YOU IN 2014. With Köln and Düsseldorf being only a short train ride from each other, there’s a lot of friendly(?) competition between the two. Which is a better place to experience Karneval? Which is a better place to work? To live? While Köln has a lot going for it: a huge cathedral on the Rhein, direct train to Paris via Thalys, and a beautiful city center, there’s at least one area that Düsseldorf wins – hands down. It’s the better place for families with young kids to see the Christmas markets. Köln’s main markets start right next to the train station. In Düsseldorf, you have to go three stops on the subway to get to them. There are also a lot of markets. If you find that one’s crowded, move on and circle back later. Chances are the crowds have subsided. In our short time in Düsseldorf I saw a ferris wheel, several rides, and an ice skating rink. Seriously: family fun at Christmas right in the heart of Düsseldorf. Yes, the crowds are smaller, but there’s also generally more space. The markets seem to have wider “halls”. Not to mention, they’re all located near the Rhein River promenade and the Hofgarten. Have an antsy toddler? There’s plenty of space for them to run around. disclaimer: My most recent trip to Düsseldorf was with Farrah from the Three Under. Although I have gone to the markets before with my clan, this particular trip was without kids. My thoughts above are based on a combination of our girls’ trip and other trips I’ve made in the past. Alternatively, I’ve only been to Köln’s Christmas Market once. I was with the whole family, it was harder to see all the markets to give a proper judgement on some of the topics above. I very well could have missed the super family friendly area with lots of rides and few people. My tip: they’re less than an hour from each other so do both! Either way, Köln still wins my heart for the Christmas Market with the best food. And not just between it and Düsseldorf, but for all the markets I’ve been to in Germany. After exploring a million markets in Düsseldorf, Farrah and I headed to an afternoon tea.